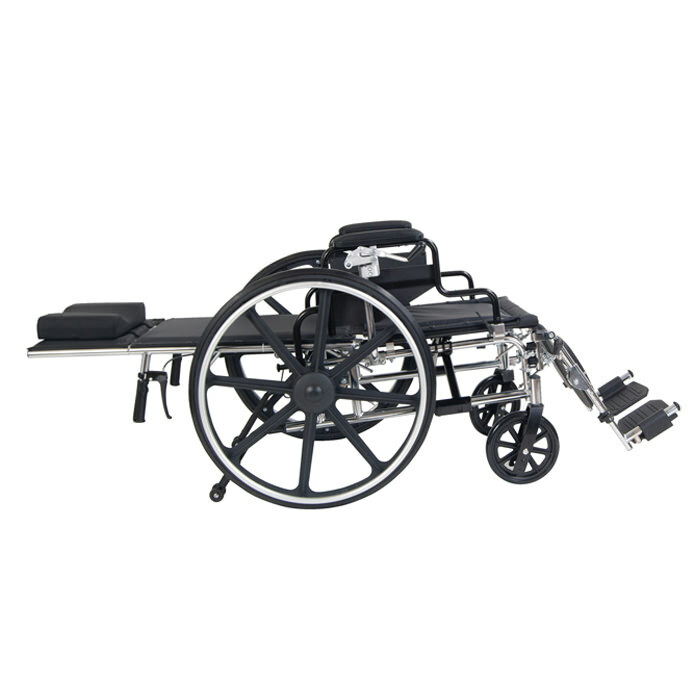 Drive Medical viper plus reclining wheelchair has a hydraulic reclining mechanism which provides recline adjustments up to 180°, its standard dual axle provides easy transition of seat-to-floor height from adult to hemi-level. 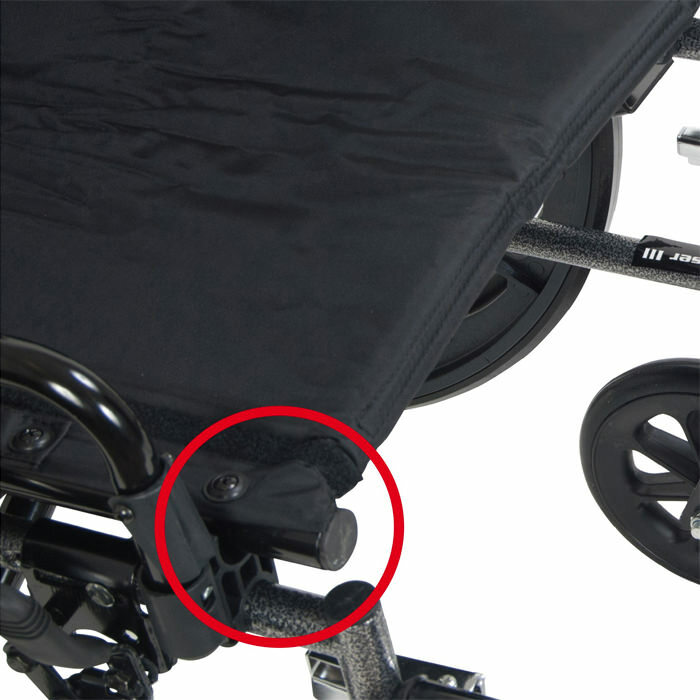 Viper plus comes with a built-in seat rail extension to adjust seat depth from 16" or 18". Built on a carbon steel frame with double coated chrome finish the viper plus has an attractive, chip proof and maintainable design. The nylon padded armrests on viper plus wheelchair adds to the user’s comfort, and can be flipped-back for easy transfers. 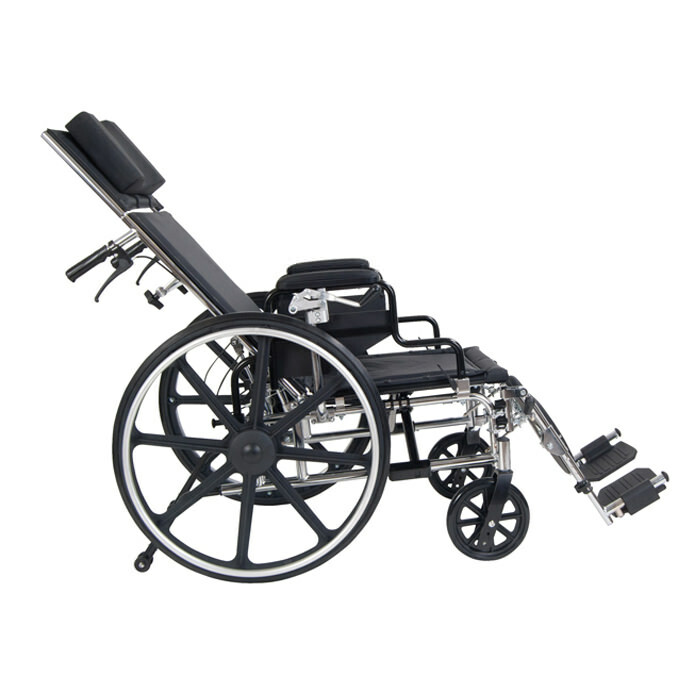 Viper plus comes equipped with lightweight, maintenance free, composite mag style wheels and the offset rear wheel position offers additional stability and distributes the user’s weight evenly, while in the various reclining positions. 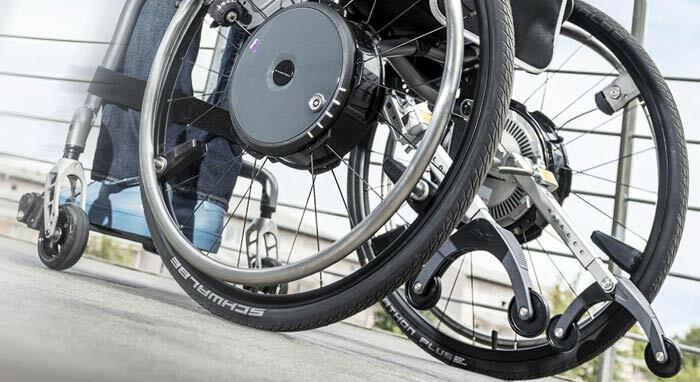 Wheel bearings in viper plus wheelchair are precision sealed for long lasting and reliable performance. 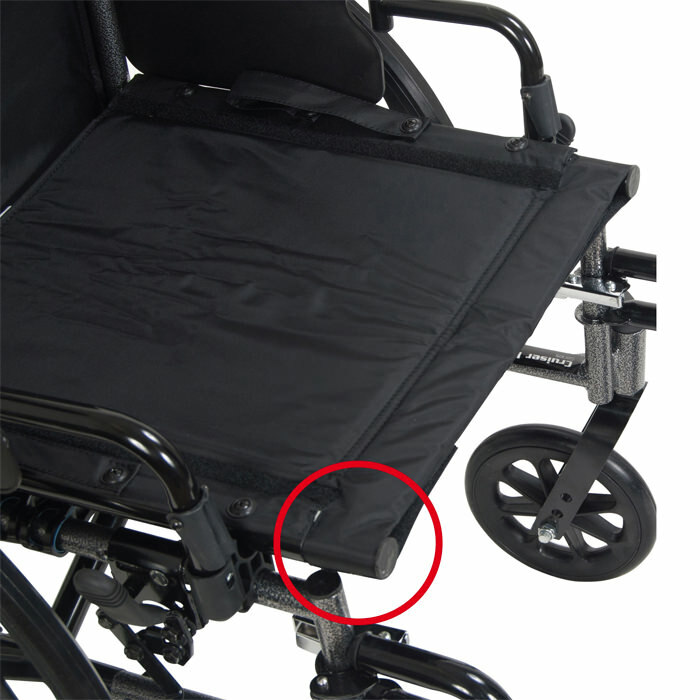 The upholstery used in viper plus reclining wheelchair is extendable, flame retardant, durable and free from the hassles of bacterial or mildew growth. 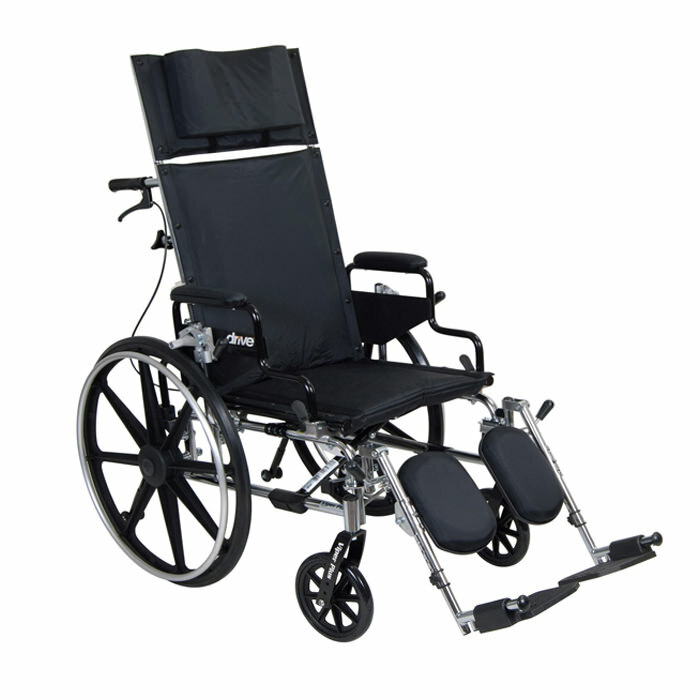 Viper plus reclining wheelchair features 8” front casters with forks which can be adjusted in 3 positions. 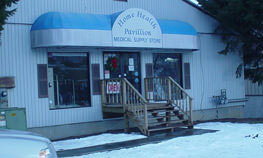 Attendant wheel locks in a convenient and easily accessible location. 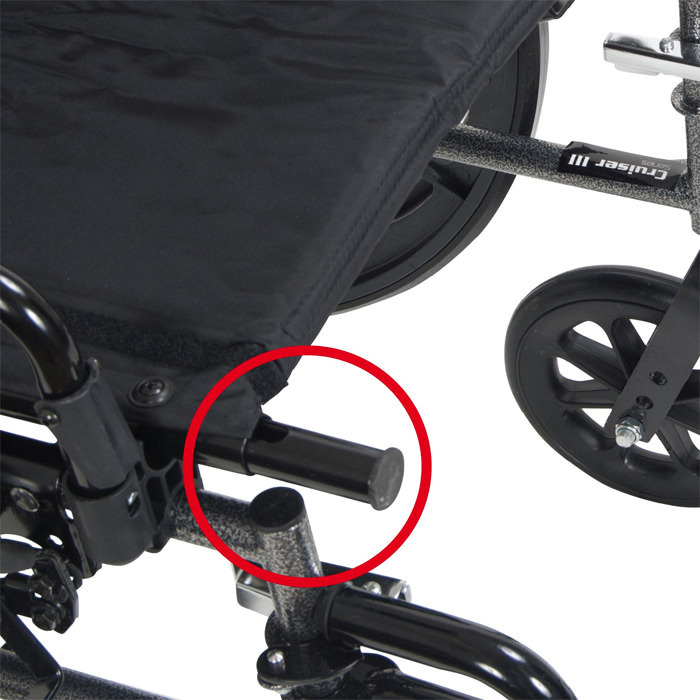 The spreader bar on viper plus wheelchair acts as a back stabilizer and a convenient push handle for the attendant. Viper plus comes standard with swing-away elevating leg rests and composite foot plates which are durable and lightweight. Width (open with 16" seat) 24"
Width (open with 18" seat) 26.5"
Width (open with 20" seat) 28"
Back height (without | with headrest) 23" | 33"
Seat depth with 16" and 18" seat 16"
Seat depth with 20" seat 18"
Product weight with 16" seat 47 lbs. Product weight with 18" seat 49 lbs. Product weight with 20" seat 51 lbs.